The other possible title was "Shark vs. Butterfly," but that didn't have a nice enough ring to it. This episode was told mostly in flashback, covering some key scenes from the prequel light novel that haven't been shown in the anime yet. I am kind of amused that they subtly wrote their female classmate Zaki-chan out of the picture though. Can't have a girl with her one-sided crush on Haru taking up all of Rin's screentime! 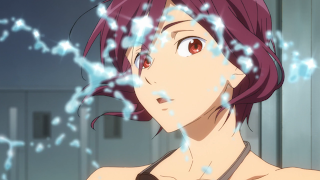 Anyway, a lot of this confirmed what I'd inferred or assumed about Rin's character from the dream sequence episode, as well as that Haru initially quit swimming because of Rin, so I won't rehash it here. I will say that it seems that the missing piece of the puzzle for Rin's change in character is not what happened between him and Haru in middle school, but something that happened overseas. 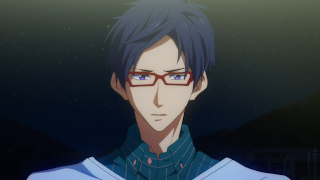 When Rin was with the group at Iwatobi, he was concerned about winning and achieving his father's dream, but not to the obsessive point that he's at now, As a kid, he was still able to have fun. At some point between leaving and coming back, an idea was planted in his mind that losing to anyone is the same as failure. His recent brush with jealousy might set him back on the right path though. 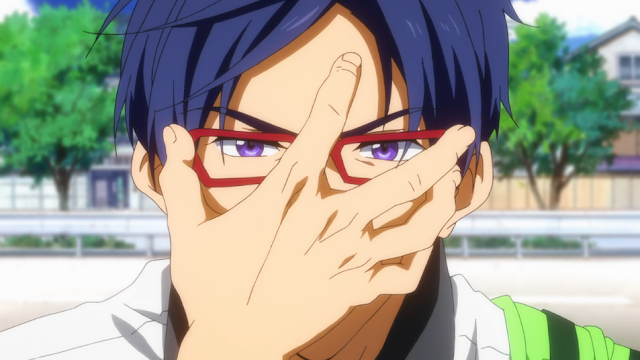 But the person I really want to talk about in this episode is Rei. While all this drama has been going on, he's been mostly ignored. He doesn't have a past with Rin since he's the newcomer, and I'm glad that this episode finally addressed the fact that he must feel like a third wheel with literally everyone else in the club wondering about what Rin will do next. 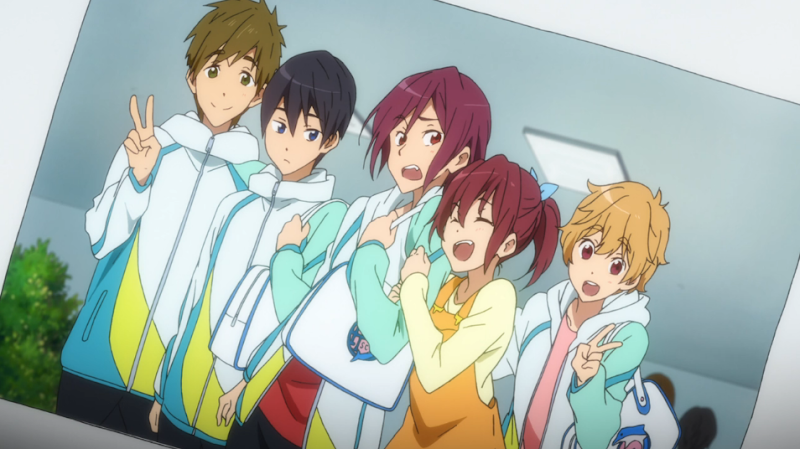 While Rei was embarrassing himself on overnight school trips, these four created a lasting friendship (whether Rin wants to admit it or not). 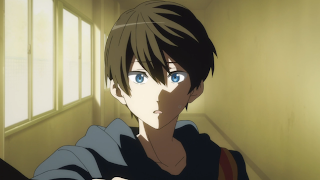 Talking about him as "Gou-san's older brother" really brings home the fact that he must feel out of the loop. I also wonder if this is bringing up his feelings of inadequacy as well, since Rei saw firsthand how good Rin is at the meet, and he now knows that he's taken his old spot in the relay. 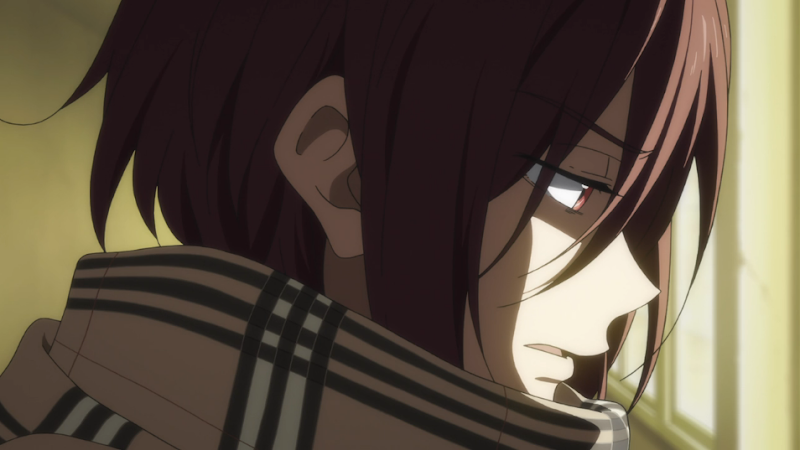 However, I'm not really sure what his intentions are for confronting Rin, since they have no history other than Rin's unaddressed jealousy. 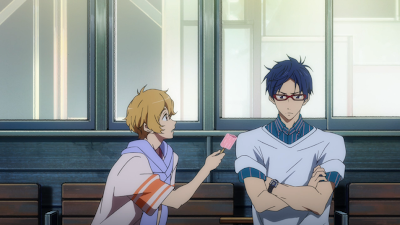 I'm pretty sure that Rei is going to challenge Rin to a race, but given that Rei is still a newbie, I don't know what that would prove. It's not exactly his place to tell Rin to go make up with the other guys either, so he'll have to tread carefully if that's his plan. 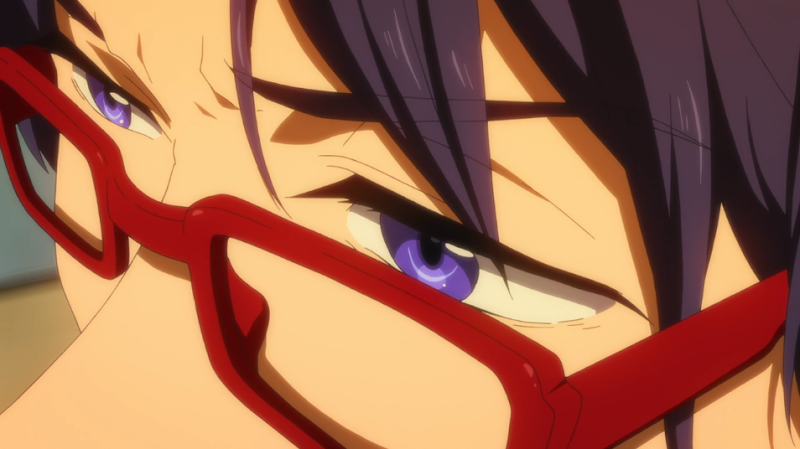 I guess I'm mostly concerned about dork master Rei jumping into the shark tank. He might be in over his head here. Raise your hand if you saw this coming since the second episode. Yeah, they really did a good job! I'm almost done reading the translations for the prequel novel, and it's a good approximation for people who haven't read it yet (except for some things, like how I mentioned that Zaki-chan is conveniently missing). But yes, they were so cute! 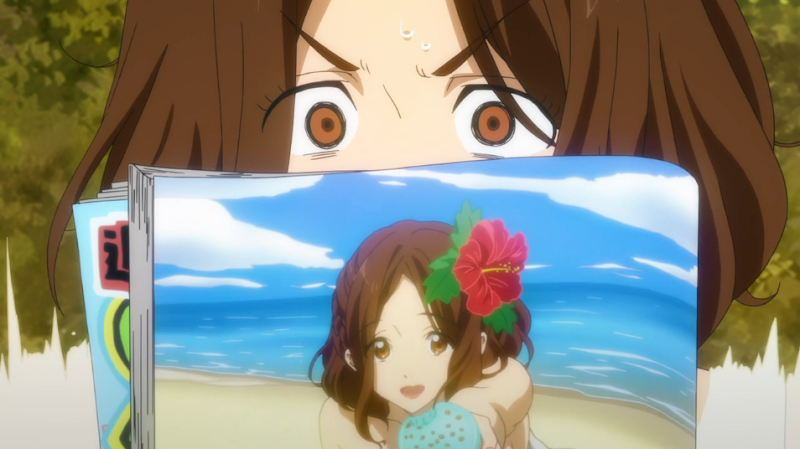 What the heck happened to Rin in Australia?! *raises both hand* I really wish they would have shown Zaki-chan. I think she play a good part too. Also, I don't think Rei will challenge Rin, but maybe talk to Rin to get his side of what happened? I would really love to know what happened to Rin overseas to cause him to change so much. 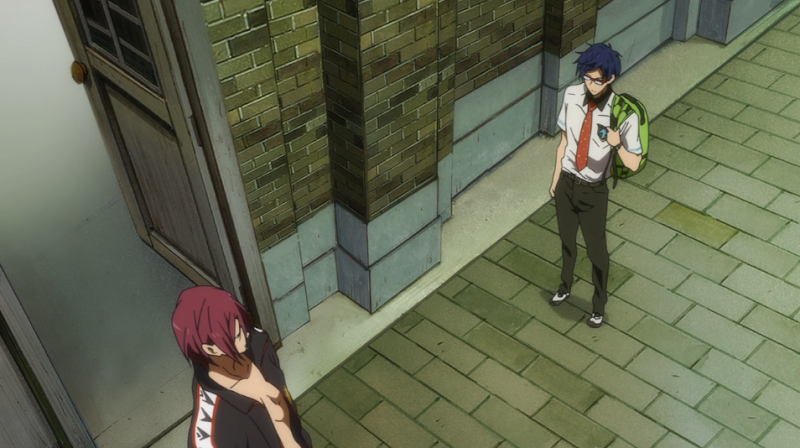 I have a headcanon that Gou's friend is Zaki-chan. Anyway, I agree with you, but I'm not sure if Rin will be receptive to that, since they don't know each other and Rin is jealous of Rei at the moment. But who knows!